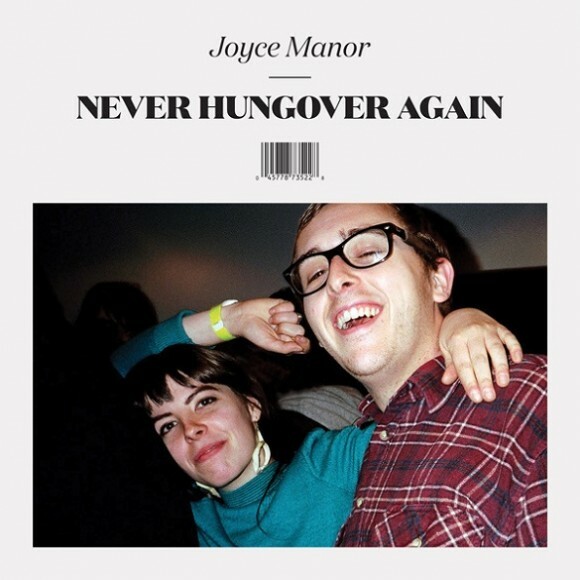 In their latest album, Never Hungover Again, alternative pop-punk band Joyce Manor sticks true to the simplicity and rhythm that have leveled them with artists like Weezer since the release of their self-titled full-length album in 2011. Teeming with emotion, this record is deep enough for listeners to dive into. The second track, and the album’s most popular single according to Spotify, “Falling in Love Again,” is truly adorable with a vague, shy melody and poignant atmospheric guitar. “Catalina Fight Song,” another album standout, is short and angry as frontman Barry Johnson stamps out heavily charged lyrics and free-wheeling instrumentals in just over one minute. “In the Army Now” deals with repressed grief and disappointment that manifests as extreme anger and cutting sarcasm. “Victoria” is heady and inspiring as Johnson screams the name of a former lover, although the lyrics express anything but positivity. “Heart Tattoo” is one of the album’s defining tracks and solidifies Joyce Manor’s presence in the pop-punk genre – as if their angsty lyrics and head-banging rhythms weren’t enough. This track is cymbal-heavy with the added benefit of call-and-response background vocals to bring more depth to the surface tunes. Overall, Never Hungover Again doesn’t represent much deviation in style from Joyce Manor’s earlier albums, although it’s slower-paced and less experimental than 2012 album Of All Things I Will Soon Grow Tired. The chicly rudimentary melodies, extraordinarily short songs, and Johnson’s simultaneously distant and warm vocals make this melancholy rock music enticing and wonderful. Candace Carter is an associate editor with Gadfly Online and really loves her job. She just finished her first year at the University of Virginia writing for the Cavalier Daily and supporting the mentally ill in UVA’s chapter of To Write Love on Her Arms. She’s a very strict cat person; a novel she recommends is The Lovely Bones by Alice Sebold.